February felt like it went by in a flash, especially in comparison to how slow January felt. 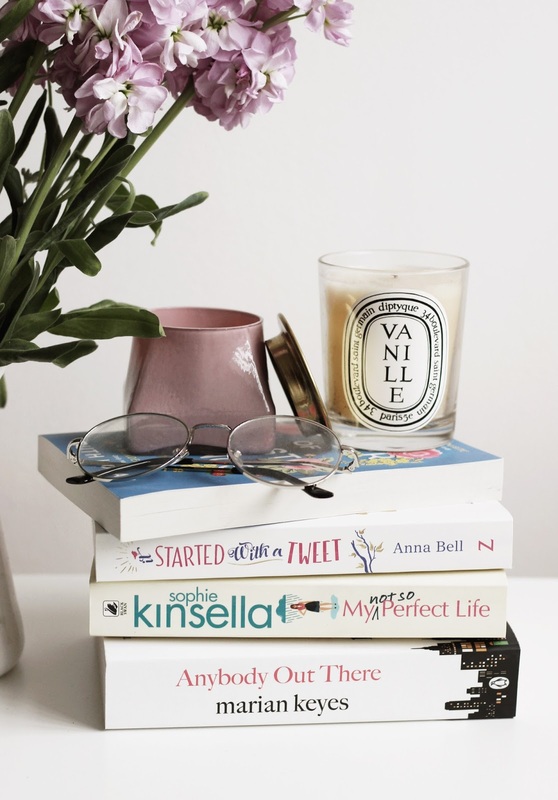 Looking back on the month, I realised that I completed my 'not buying beauty products for the month' challenge, visited a few friends and finished another book too. I wanted to share with you what I've been reading, watching and doing lately as I love reading these sorts of posts, as well as writing them. A number 1 mention would have to be that I got engaged! On the 20th February, Tom decided to ask me to marry him and of course I said yes. I've done a full blog post on this, so if you'd like to read about it you can here. We went to Brighton for a short getaway on our week off and it was so good (and not just because I came back with a sparkler) because I got to really relax and unwind, plus we spent time seeing all of our old favourite spots too. Besides the seaside air, we haven't been able to get out much on our bikes, but as soon as the snow settled we made the crazy decision to venture outside anyway and it was freezing! We went to the cinema earlier this week to see I, Tonya and it was so good, even better than I expected and it's definitely one that I'd watch again. It was interesting, yet slightly funny and extremely dark at times. I also saw Black Panther earlier in the month which was super good too and there's nothing like a superhero film to cheer you up! I binge watched Girls Incarcerated on Netflix in 24 hours which probably tells you a lot about what I've been doing with my snow days, but it was so gripping and I would definitely recommend. At the start of the month, I met up with a friend I'd been speaking to for several weeks and gosh I'm so happy we did, as I can officially say I've found a real life friend who I really like and she doesn't find me annoying - Win! We went out for brunch and scoured the shops, fingers crossed a friendship blossoms (unless she finds this incredibly lame). I finally finished reading The Muse and I'm so glad I persisted with it as, although it was slow for the first half, after that it's truly gripping and made me stay up much later than I should have done. I'm not sure what to read next, I'm thinking something light and funny. What have you been reading, watching and doing lately?